The main aim of Google is to provide its users with the most relevant, valuable result. So in that respect it is easy to write for search engines and humans alike. Google looks for quality writing, where the author has really made an effort to supply a user with comprehensive information. So when you are putting your piece together focus on the user, not search engines. Low quality content can actually have a negative effect on your site. Make your content easy to read, and easy to scan through. Often, users scan a document for information, picking out bits that are relevant to them, and Google does recognise this. Ensure the text is to the point, and not full of ‘fluff’. Shorten your sentences, instead of rambling. People want answers, quickly. Explore the topic thoroughly, taking your audience on a journey. Keywords a search engine to decipher the information on your page. Keywords make up key phrases. A long tail key phrase might consist of 4 or 5 important keywords. Even after the latest algorithm release, keywords and phrases are an important way for people to find your website. Google still looks at key phrases on the page, but is much more intelligent at working out what a page is about, so is less reliant on those terms. Google can now rewrite a search query and will base results on what the user has previously searched, their demographics, how they searched and their location at the time of the search. It adds words to the query that have not even been typed in. Users are directed to pages that have built on topics and discussed concepts, rather than pages that simply match the exact key phrase. Use keywords throughout to make the page relevant for as many searches around a concept as possible. Choose a few key phrases for each web page and use them throughout. Consequently search engines will understand your page better. If you are write well about a subject, all this is very natural. Write a list of words and short phrases that describe the topic you are writing about. Write a list of other information that is important to that topic, like geographic location, related sports. From the keyword lists you have made pick a primary and a secondary keyword. Use keyword tools to discover most popular search phrases (more below). Now create a few key phrases out of 4 or 5 of those words. They should make sense to a human. These will be used in your page copy. For example: ‘Ski Chalet Accommodation Les Arcs’, ‘Mountain Bike Workshop Herefordshire’, ‘Blueberry World Tea Shop’. If you are location based include your location in at least one of your key phrases ie “Oxfordshire” or “UK”. Focus on one main key phrase for each web page or blog post, that is relevant to your business. Write the content, focusing on that key phrase. The content should make sense to humans. Use the key phrase in the title of the page, meta description and alt tags. However, be careful – do not ‘keyword stuff’. Google penalises any website that is caught over using keywords and/or using keywords that are irrelevant to the page. Do not use the same key phrases for any two pages. The first paragraph should be a summary of the page and should include the key phrase. Include the key phrase in the last paragraph. Headings and subheading should contain the key phrase. Link text should be keyword heavy (links to pages within your website or outbound links). It is important to take a look at website statistics a month after launch to see which key phrases are working for your website. Every month pages can be tweaked and better phrases used. Never repeat content on pages or posts. Duplicate content will be ignored and your page could be demoted. Find and remove any text that is duplicated on your site. Even text that is copied from other websites can harm your rank. As mentioned before, do not stuff your pages full of key words. These things can have a really negative effect on your site. The obvious answer to websites that have thin content, is to go through that content and rework it. Do not set out to optimise low quality pages, without first taking the time to add quality. Take time and effort over your pages, adding your knowledge and expertise. In that way Google will reward you and your website. For the moment, pages with less that 300 words can still rank well, dependent on the uniqueness of the content and if the page meets specific user intent. If your other pages rank well, your over all domain has a better ranking ability and may float smaller pages. Bring each of your posts up to date, as Google often rewards fresher content. 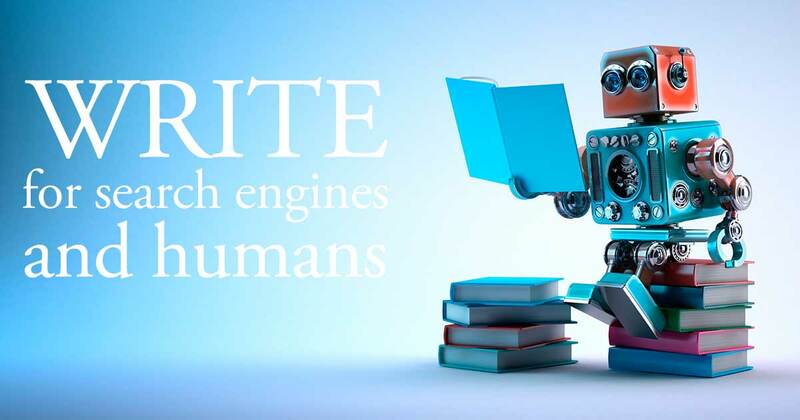 But remember to always write for humans.